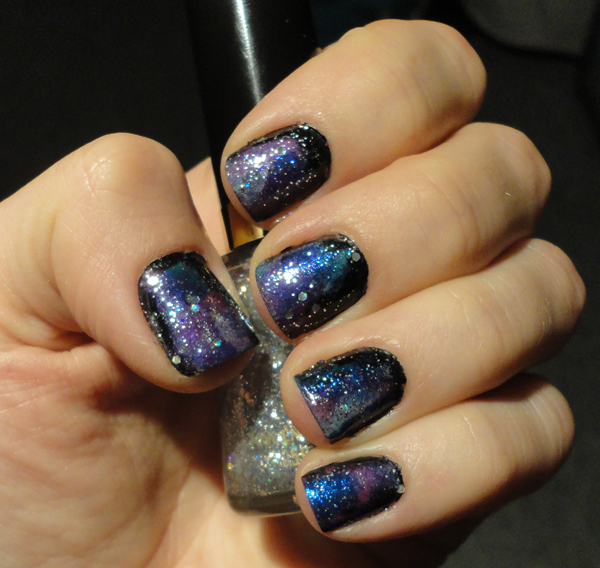 Galaxy nails have quickly become one of my favourite polish looks to do. I love how you can switch up the colours and have a new look each time. I first learnt this by watching a great video tutorial done by Polish & Pearls: How To: Galaxy Nails. 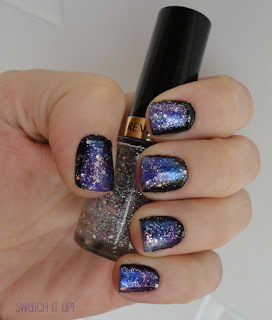 I hope you like my version of Galaxy Nail painting :) Have you tried it yet? Awesome job on these! 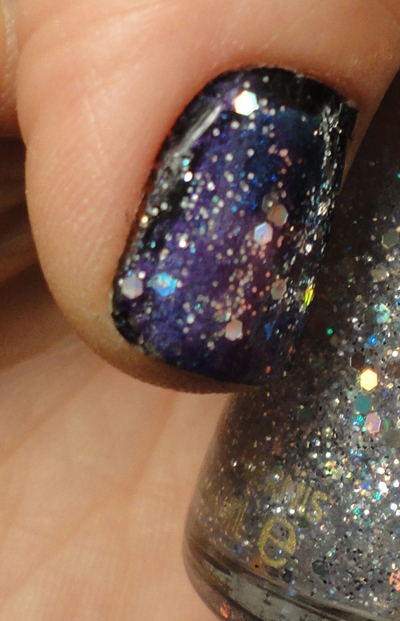 I need to try galaxy nails! 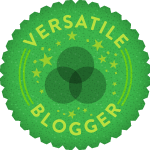 Thank you so much :) Yes you should try, they are so much fun to do! This is gooorgeous!!! :D I love how you used Revlon Stunning (it really is stunning!! :D). Thank you :) Stunning is such a pretty polish! These are amazing! I love the glitter! I've got to try galaxy nails! Me love your galaxy nails!! Super awesome.